Josh Shirt has been a professional Voiceover Artist since 2005. He burst onto the UK voiceover scene as a young, street voice and was quickly snapped up as the voice of The Wireless Group’s thirteen radio stations in the North of England. His work has evolved through the years with over 6000 advertising campaigns recorded to date and in recent years he has explored his talent for audiobook narration (recording Philip Ridley’s ‘Flamingoes in Orbit’ in 2018). He has a naturally warm and confident voice that’s regularly heard on TV, Radio, Spotify & online. His portfolio includes work for Xbox, Samsung, Airbnb and the BBC. Please scroll down to see my latest work, or view my showreels or portfolio. 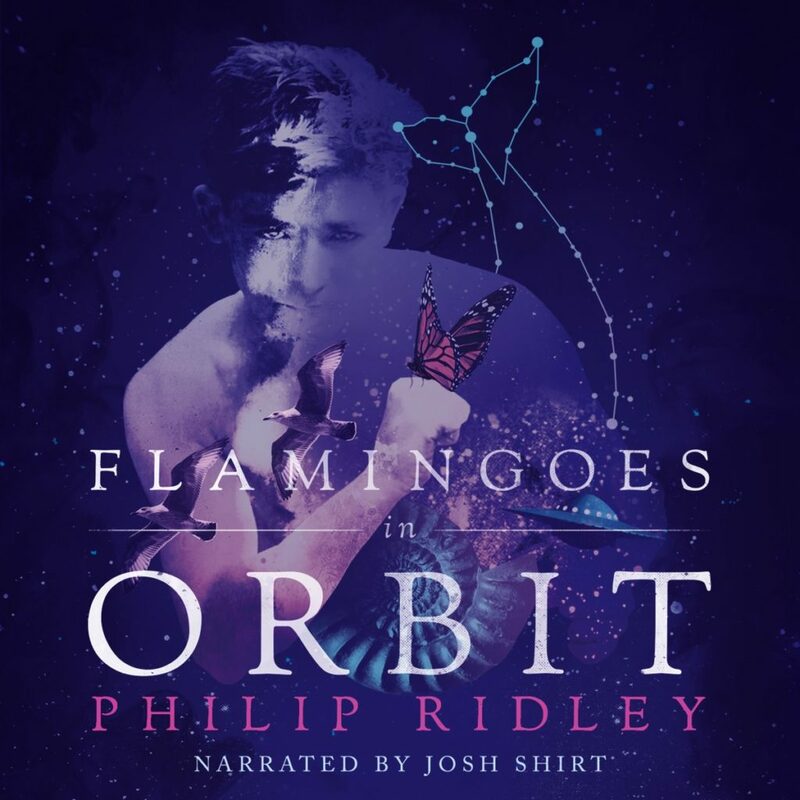 Reviews have started to come in from my recent audiobook actor work for ‘Flamingoes in Orbit’ by Philip Ridley. “Absolutely perfect for the tone of these stories is the soothing, melodic voice of narrator Josh Shirt. I’m disappointed to find he doesn’t currently have any other audiobooks available on Audible, and if this talented performer uses any other names I’d sure love to know about it. Philip Ridley’s collection of short stories (Flamingoes in Orbit) – like his two adult novels, Crocodilia and In the Eyes of Mr Fury – became an instant cult classic when first published in 1990. ‘Flamingoes in Orbit’ was updated and re-released in 2018. I auditioned to be the audiobook narrator and I’m very proud to say that I got the part. These stories were a pleasure to bring to life: A multitude of interesting and believable characters jumped out at me from the page and lent themselves to a range of British accents. I recorded my performance of the novel in October and November 2018 and Ridley’s accurate, engaging and sometimes controversial storytelling literally made me laugh and cry. The audiobook is now available from Audible, Amazon and iTunes. Listen to my audiobook and character showreels or see my other audiobook projects. If you are interested in casting me for your project please get in touch. Currently, you can hear my voice promoting Tenzing on Spotify and YouTube. Leeds, UK has a remarkable energy recovery facility. For this video, Veolia asked me to provide a clear voiceover to explain how it works. I often work for people who need a youtube video voiceover. I recently recorded this voice over for Samsung UK’s YouTube Channel. My voice explains to customers how to install and maintain their new Samsung washing machine. Often clients e-mail me scripts for corporate presentations and I record the commentary. Once the recording is complete I return the audio in WAV or mp3 format. In the audio file I include a few recordings of the script so that the client can pick their favourite version when editing to picture. You can hear and see more of my corporate narrations on the showreels page. This medical voiceover is aimed at members of the public and aims to explain how the blood-brain barrier works. Roche are a multinational pharmaceutical company that operate worldwide. They selected my voice for this project and we recorded the script at my agent’s studio in London. The client directed the session and they were keen to capture a tone that was friendly and informative; they felt that my voice was a perfect fit for their recording. You can hear and see examples of other medical and technical voiceovers I’ve recorded on my showreels page. I’m sometimes asked to be a radio imaging voice. This audio branding (usually referred to as ‘Promos and Imaging’) has the intention of establishing a consistent ‘voice’ and brand identity as music and presenting styles change throughout a broadcast or podcast. My voice has a wide range for sonic imaging: from young and dynamic ‘Radio One’ voice (for DJ shows and DJ podcasts – the classic ‘in the mix’ voiceover) to upbeat friendly announcer. I am also an experienced sound engineer and audio producer, producing entire branding packages (with powerful, cutting-edge sounds and themes) for my clients. Recently I helped launch UK community radio station ‘Aycliffe Radio’. Over three months I supplied around 200 voice prompts to establish their brand identity. For their breakfast show I give an excited and enthusiastic voice over. For their rock show my voice is grungy and edgy, and for the evening playlist I provide a relaxing and soothing voice. This imaging was produced by Dan Callum. Corporate videos are an effective way to tell stories. They present information in an engaging way; using visuals animated in time to a voice over recording. I recently recorded this video for Node 4’s ‘Services Gateway’. The session was directed by their video production company who linked up with my studio via telephone conference call. After the session I delivered a high quality WAV recording to the client. For live voiceover recording sessions is it common for me to connect with clients by Skype, ISDN and Source Connect. I can also be left alone to record scripts and then deliver the finished audio by e-mail. I am happy to provide custom demos for your project, just drop me an e-mail. Or, you can see more of my corporate narration work and hear more on the showreels page.